Well done. 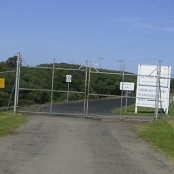 With all that stuff out there, somehow you managed to find The Jetty Journals website. 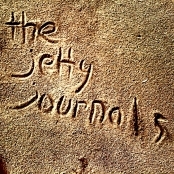 The Jetty Journals is a book, written for young adults who like an adventure. As it turns out, adults who read the book like it, too. It is a bit of a ripping yarn, a page-turner. It's an end-of-the-world, post-apocalypse, survive the pandemic plague kind of book. It doesn't use the word "zombie", but if you like that kind of story or zombie DVD, you'll like this book. Once you start, put aside a few hours, because you'll keep reading until you get to the end. The SmashWords website is the place where you can grab a sample of the ebook...it's a big sample, about 25%/15,000 words! The sample is FREE! Or, on this site, you can randomly sample chunks of the ebook. Or you can read a summary of the story here. Plenty of options! If you like that, you can buy a copy of the ebook version. On this site you can read about why the book was written, what happens next to Karen, Sean, Blair and Sophie.